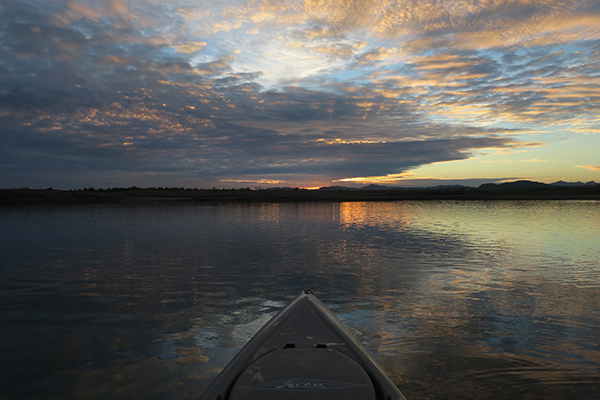 While most of the lower forty eight states are shivering in the grip of deadly winter storm, we are fortunate to be kayak fishing on the Colorado River in southwest Arizona. The weather and fishing have not been ideal, but we can’t really complain too much. 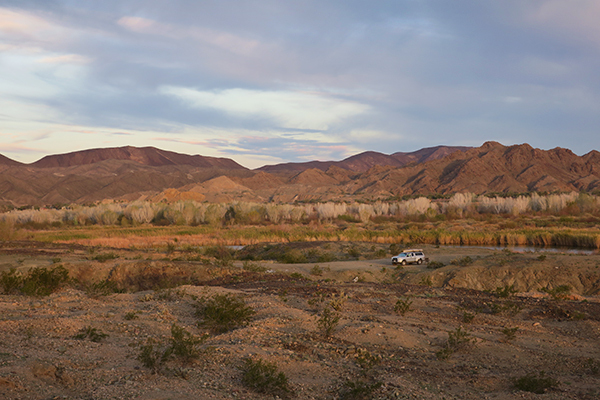 We’ve been looking around, trying to find the bass in a river where the water levels are changing rapidly, resulting in very cold river water that is really putting a damper on the fishing. The fishing for largemouth bass has been slow due to the cold water. We are looking for the backwaters where the water might be a bit warmer and the fish more active. As usual, we are out there every morning the weather and fishing conditions permit, trying for the big bass. Or, when the fishing is as slow as it is now, trying for any bass. Even if the fish aren’t biting, being out on the water is nearly always better than being on land. We have managed to catch a few fish that were hanging out in the warmer water. On the main river, the water is too cold for the fish to be active. In the backwaters and bays off the main channel, the water is a couple degrees warmer and the bass are more active. 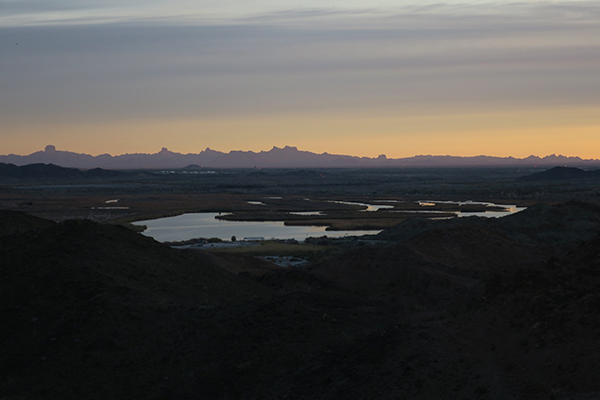 I think we’ve rounded the corner on mid winter here in the Arizona desert and we are hoping the river water starts to warm up and get the fish active again soon. 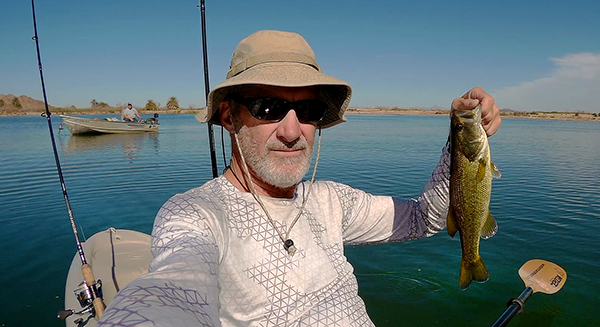 Stay tuned for more kayak fishing action from the southwest desert as the 2019 fishing season gets going!